Home Pokémon Pokemon News Ash and Pikachu Begin New Ultra Adventures! Ash and Pikachu Begin New Ultra Adventures! The next exciting season of Pokémon the Series premieres March 24 on Disney XD. Get ready for more adventures in Alola and beyond when Pokémon the Series: Sun & Moon—Ultra Adventures kicks off Saturday, March 24, on Disney XD! 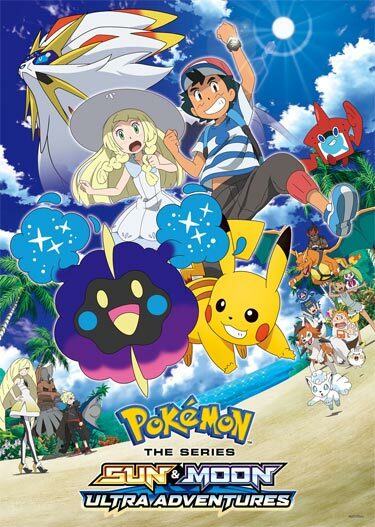 The latest season focuses on Ash and Pikachu as they continue their epic adventures in the tropical Alola region while meeting new friends and discovering new Pokémon along the way. Check your local listings for channel number and time so you don’t miss the exciting premiere episode of Pokémon the Series: Sun & Moon—Ultra Adventures on Saturday, March 24, on Disney XD.